The Sphex Club of Lynchburg held their annual dinner meeting at VCCA on Wednesday, May 20. After a studio tour in the visual arts wing, the members were welcomed by VCCA Executive Director Suny Monk, who invited them to enjoy a delicious dinner with Fellows at the residency - prepared and catered by Sweet Briar College. 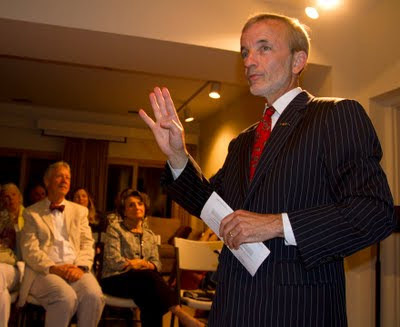 The Sphex Club then gathered to hear "Art Is For Everyone", an inspiring speech delivered by Alex Nyerges, director of the VMFA (Virginia Museum of Fine Arts) and a VCCA board member. 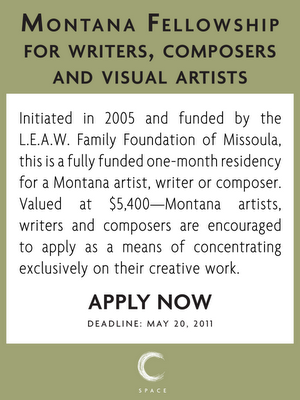 Last Day to Apply for Montana Fellowship! Shelby Fischer, a VCCA Board Member, is featured in C-Ville Weekly. 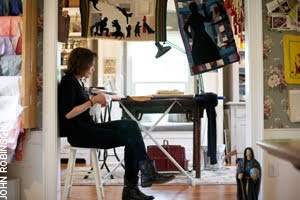 She talks about her visual art, her work with the Thelonious Monk Institute of Jazz and VCCA. (Thanks, Shelby!) To read it, click here. 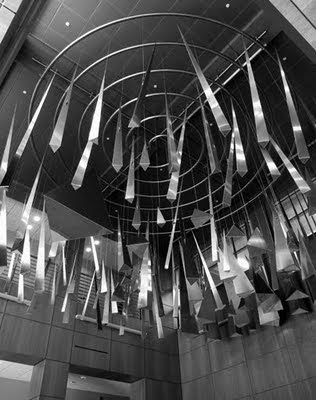 VCCA Fellow Andrew Ginzel partnered with Kristin Jones to create a dynamic installation of 118 tetrahedrons now suspended in the grand Lobby/Atrium of the University of Central Florida's Physical Sciences Building. Faceted, mirrored and in perpetual motion, each tetrahedron is derived from information distinct to each element in the periodic table. The elements are suspended in a spiral determined by the chronological order in which each was discovered. The vertical dimension represents the atomic number. To see more, click here. Art + Music + Friends = VCCA 40th in Cville! 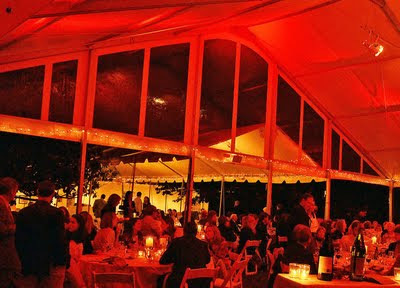 In the heavenly gardens of Casa Maria, tents rose like cathedrals to welcome VCCA friends and Fellows for an evening of beauty, art and conversation. The celebrations included a silent auction of fabulous works by 40 local artists, a live auction, and a delectable dinner created by Mark Hahn and the incredible Harvest Moon Catering. Charlotte Matthews wrote poems for folks on the spot - and at the end of the evening, there was dancing under the Moroccan tent to the jazzy beat of Johnny Hott's Piedmont Souprize. at Casa Mariathis Saturday, May 7! WRITERS! 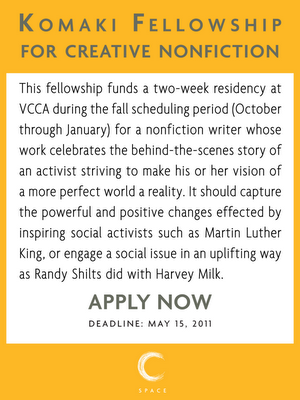 - Two Fully Funded Fellowships at VCCA!